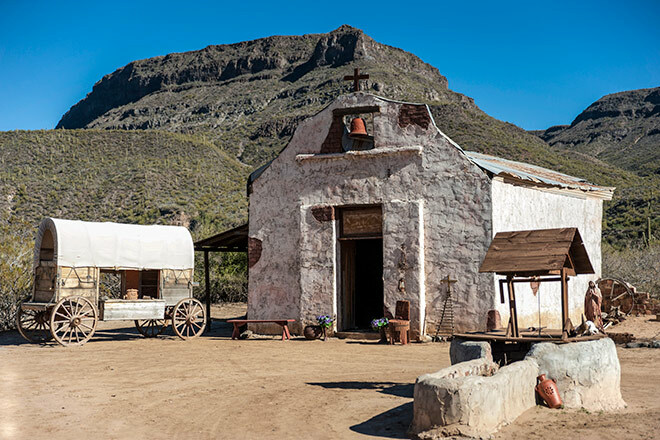 Our accomodation will take you on a great western adventure. 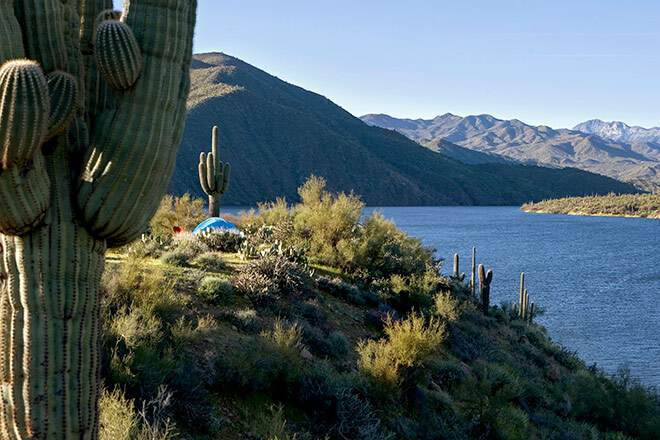 From campsites to traditional ranches to colourful Mexican-style hotels to luxury resorts, all Beyond Biking Arizona accomodation will be united by their local touch and breathtaking views. 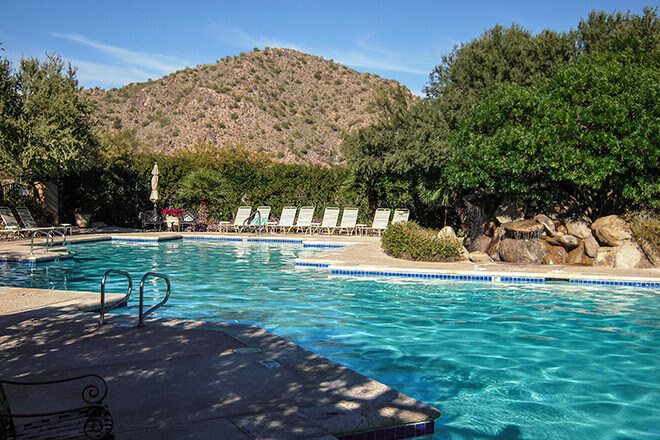 Wherever you stand at the Fountain Hills resort (two nights), you’ll be able to take in the remarkable views of the Four Peaks Wilderness. 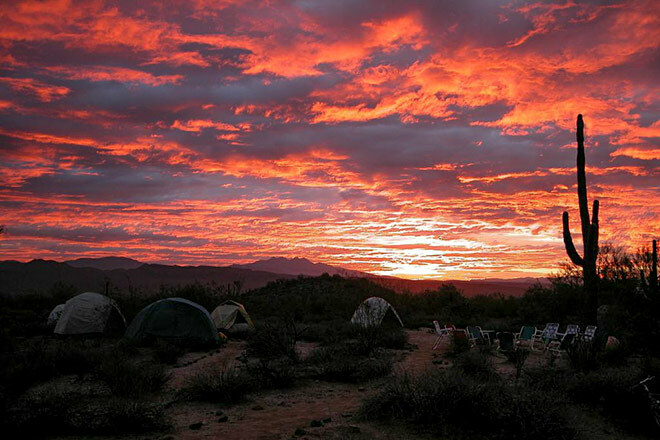 Camping at the McDowell Mountain Regional Park (one night) allows you to truly get away from it all and head back to nature. 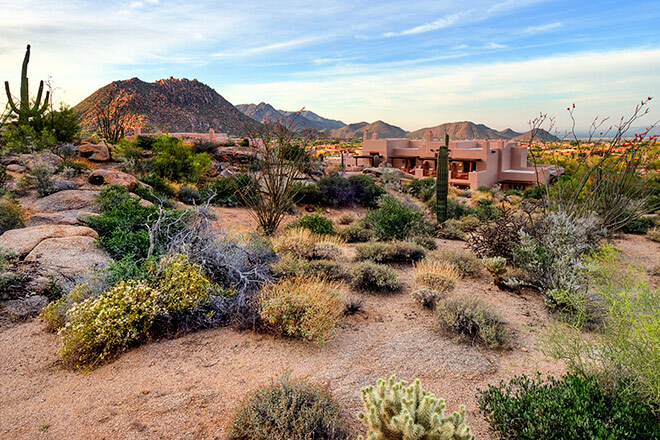 Our hotel in Scottsdale (two nights) will give you a taste of Mexico – from the architecture to the cuisine, not to mention the desert sunsets. 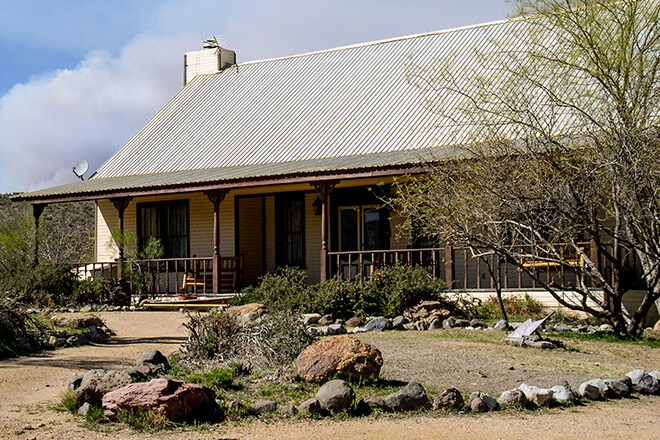 Along the Black Canyon trail (one night), you will stay at the historic Bumblebee Ranch. 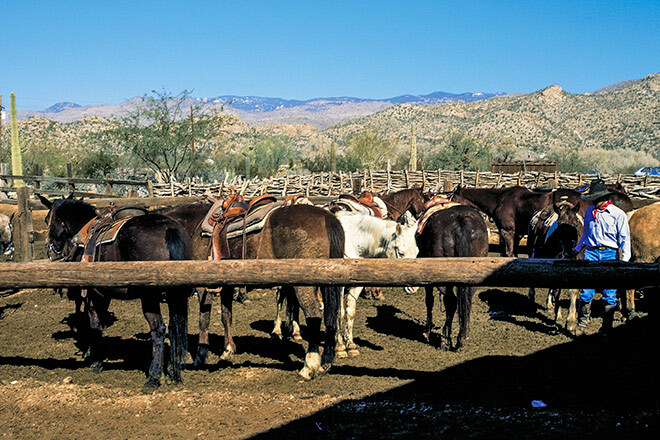 Nestled in a valley at the foot of the Bradshaw Mountains, this 180-acre ranch is surrounded by 74,000 acres of trails. 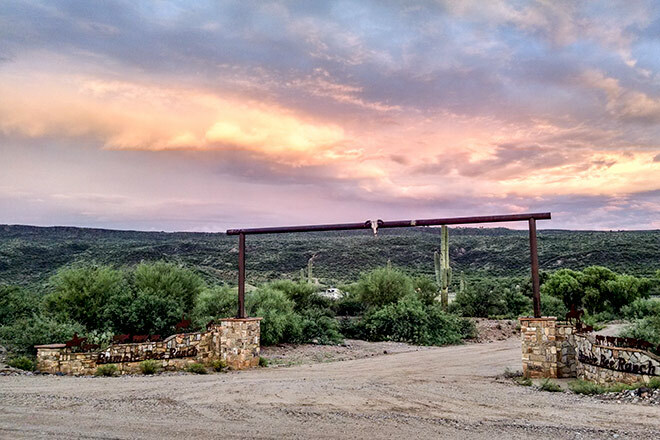 There, you will enjoy an authentic cowboy camp fire where you will dine on the choicest cuts of steak with live music from local country artists. 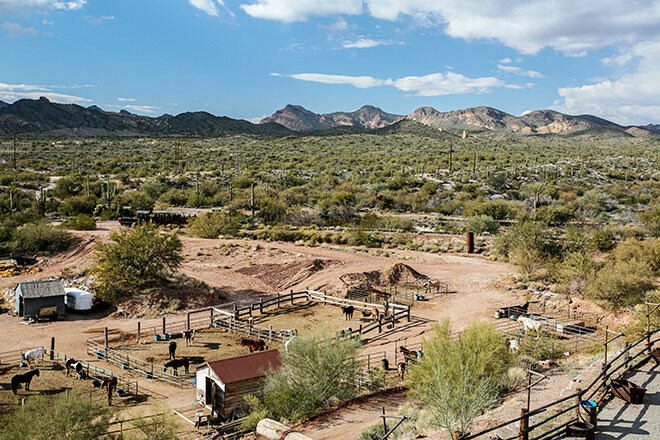 You can saddle up for a horseback ride or try some target shooting with a .22-calibre rifle at the hillside shooting range. 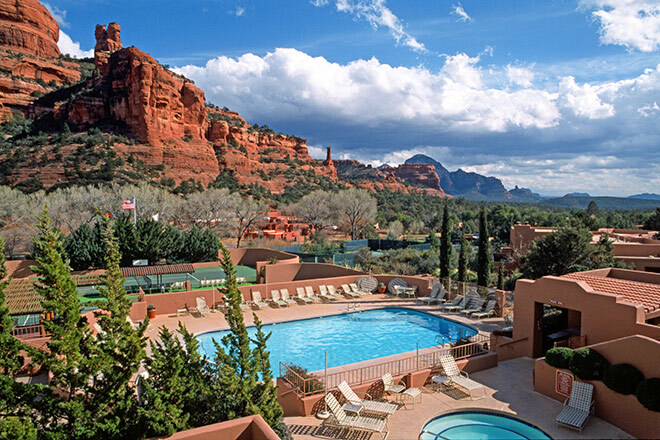 Finally, in Sedona (two nights), you will be in the lap of luxury. 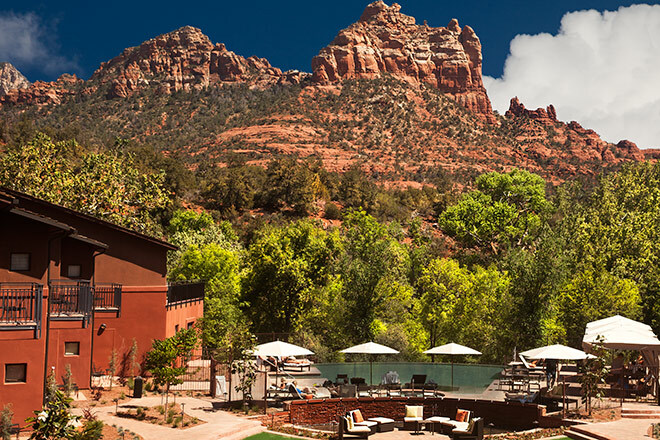 From the hotel’s artful touches to its elegant and thoughtful amenities, you will also be hard-pressed to find a pool as beautiful as the Amara Resort – with unrivalled views to match. 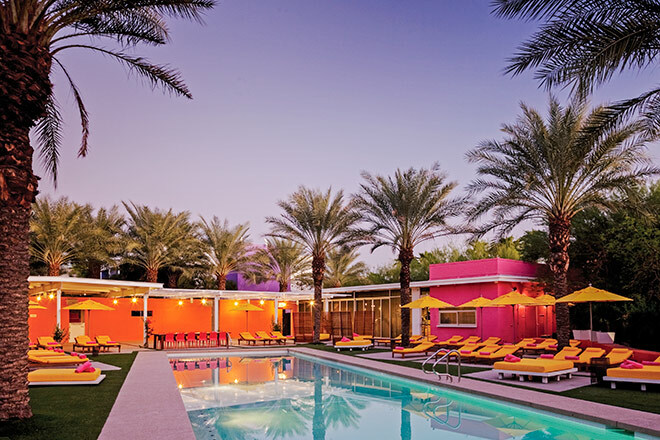 Read a book, sip a cocktail or indulge in some pampering at the award-winning spa. 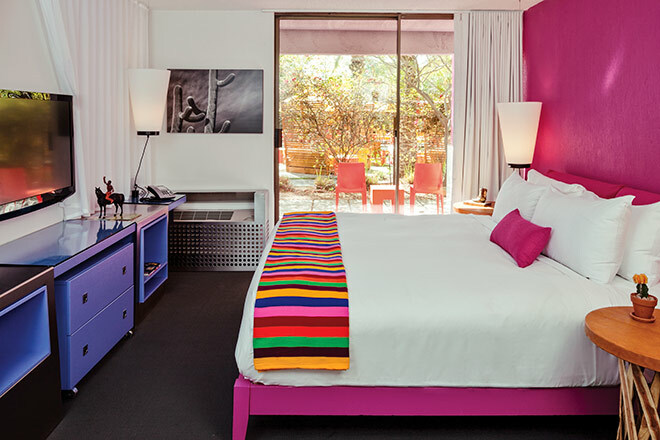 *Please note, the hotel/tour pricing may change depending on availability at the time of booking.